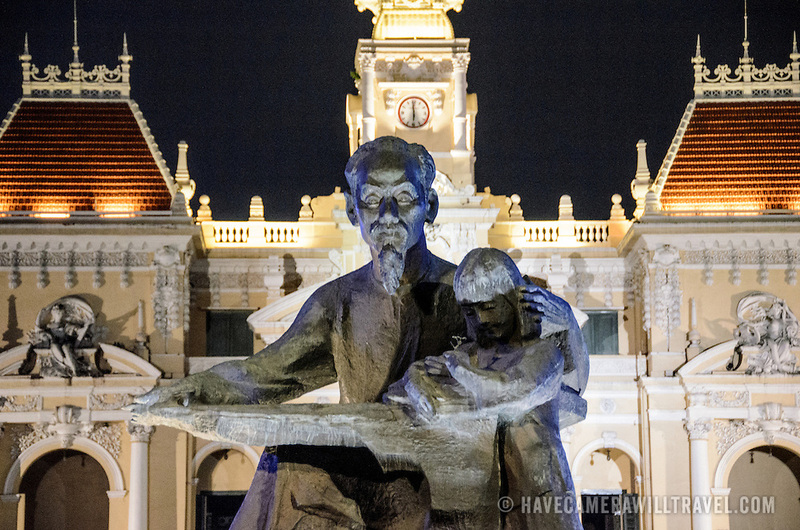 Closeup of the statue of Ho Chi Minh (Uncle Ho) in front of city hall. Ho Chi Minh City Hall was built in the early 20th Century by the French colonial government as Saigon's city hall. It's also known as Ho Chi Minh City People's Committee Head office, in French as Hôtel de Ville de Saigon, and in Vietnamese as Tr? s? ?y ban Nhân dân Thành ph? H? Chí Minh.